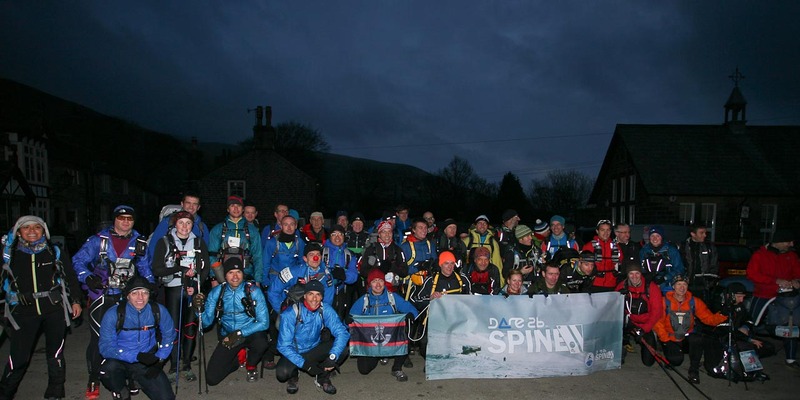 ← #113 – ‘The Spine’ 2013, Britains most brutal race! #114 – ‘The Spine’, Britains most brutal race – the inside story. 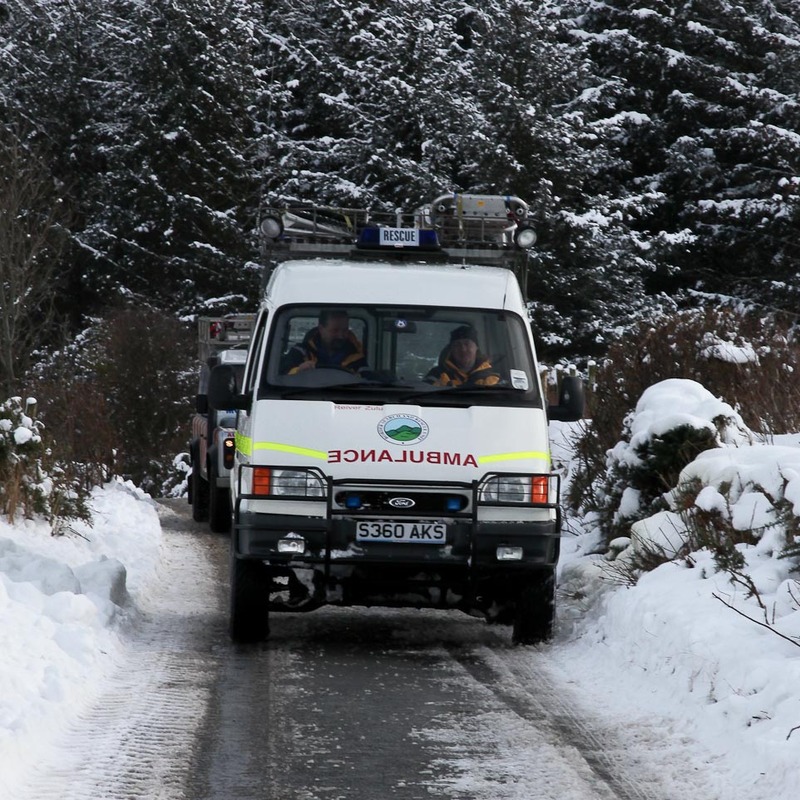 Saturday morning 12th January – It must have been getting quite tense at the start line of ‘The Spine’ race. 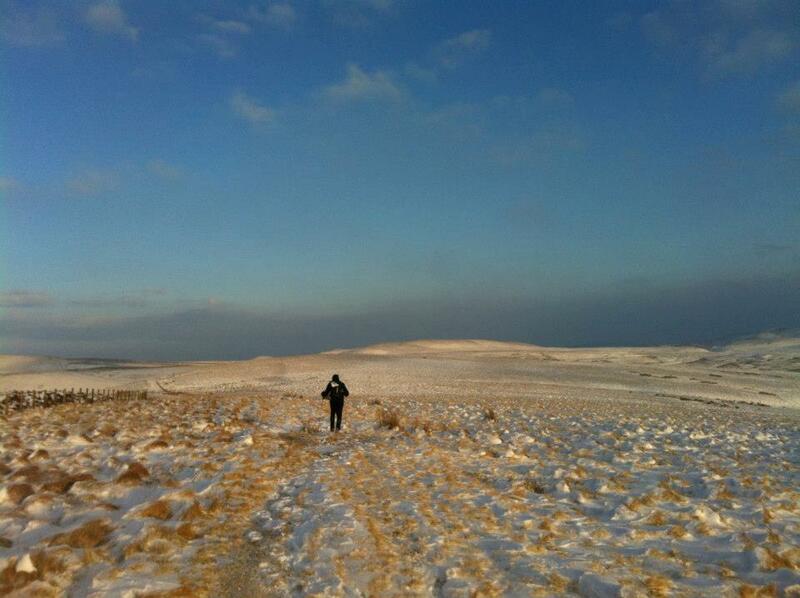 After all, running the 268 mile Pennine Way in winter in less than one week is a pretty tough challenge. I could only imagine the tension though, because I was exactly 100 miles away in Snowdonia with tensions of my own. My Border Collie ‘Mist’ was about to take her acceptance tests to begin training as a Search and Rescue dog with SARDA Wales. A pass meant that we could begin training to become a qualified dog/handler team, ready to go out at all times and in all weathers on search and rescue tasks in North Wales and beyond. At the same time that ‘The Spine’ competitors were heading towards Black Hill in the Peak District, I was told that ‘Mist’ had passed. Back in the race it was the calm before the storm. 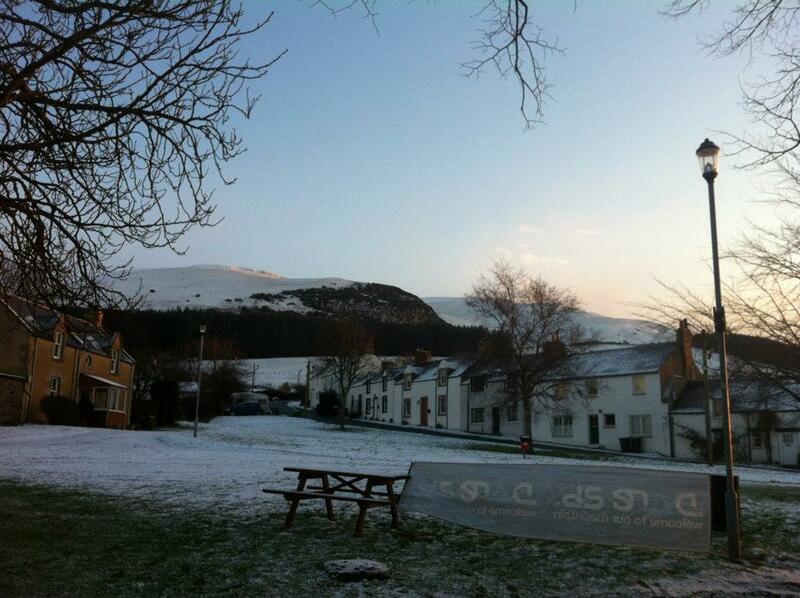 The cold, crisp weather was about to get a visit from Mr Snow. 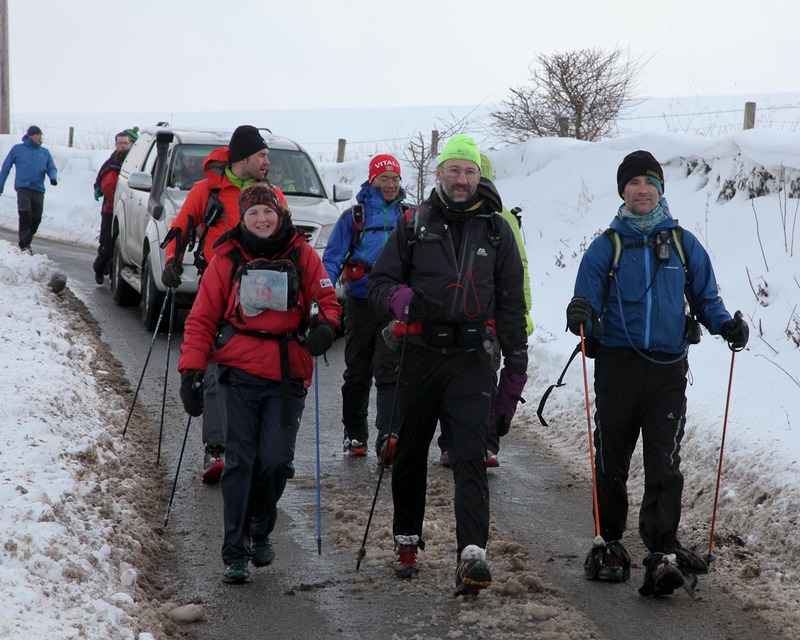 As I drove up to Malham in the Yorkshire Dales, I was glad that I was driving a 4×4, and Checkpoint 1.5 near Malham Tarn looked more like a scene from Scott’s journey to the South Pole. In sub-zero conditions, John Bamber produced coffee and noodles for the racers, whilst young doctors Naomi and Olivia did a great job of patching up battered feet. 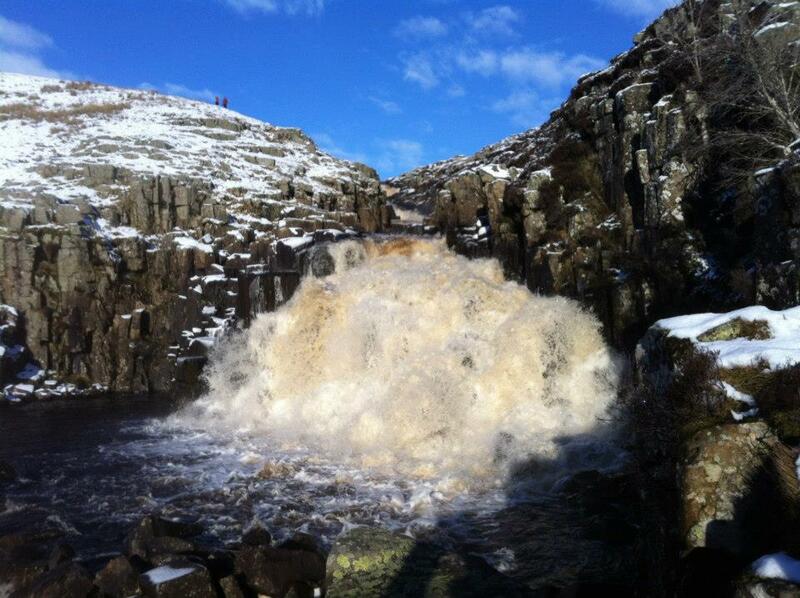 The next day it was time to move on, and late on Monday night John and I arrived at Alston in the North Pennines. 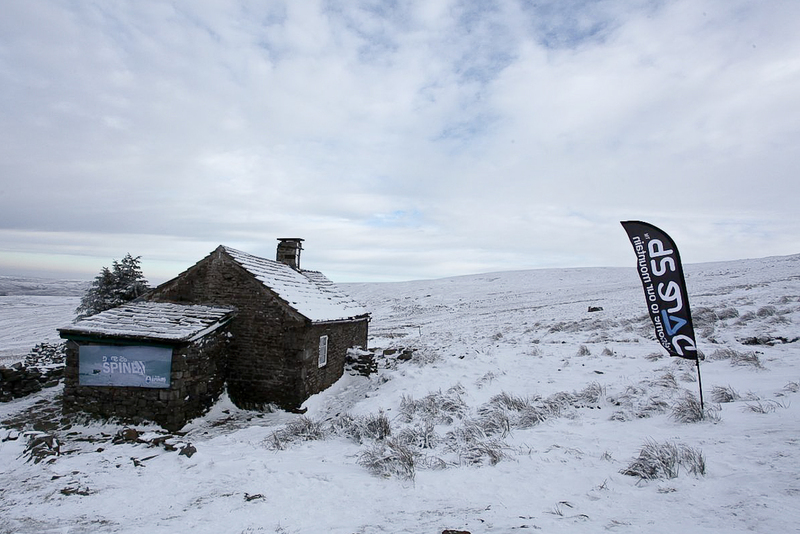 The next day saw us established at Greg’s Hut, one of the highest bothies in the UK at 700 metres altitude. It was more of the same, coffee and noodles from John and medical care this time from Charlie and Kathryn. 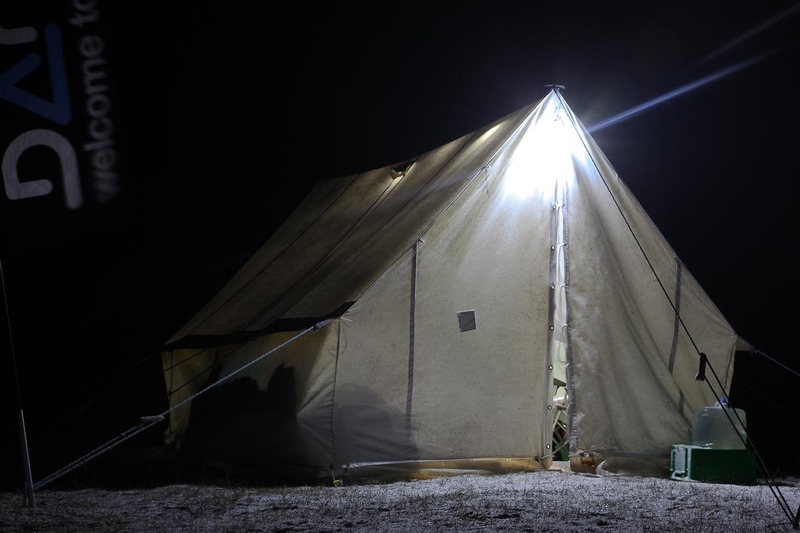 In 2012 John and I had spent two nights here, but this year the surviving runners were through in just over 24 hours. The race was getting more interesting! We left Greg’s in the dark on Wednesday evening, and John and I carried on to the Bellingham checkpoint. For us, Thursday came and went with no more incident than a walk for ‘Mist’ and a taxi run to Kirk Yetholm and back. 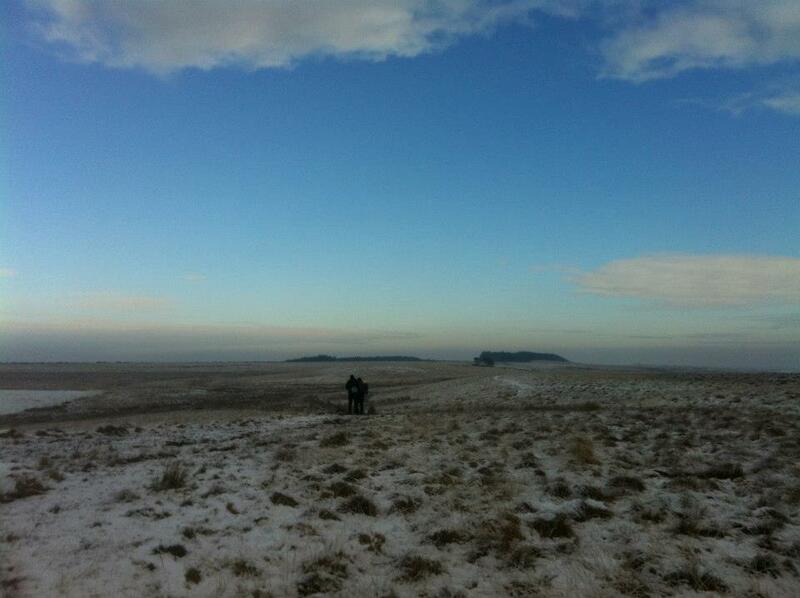 For the racers, however, it was more of the same with long sections of bleak moor from Hadrian’s Wall to Bellingham. Beyond, there was the last sting in the tail! The Cheviots are not very high hills, even by UK standards, and the highest point of this part of the course was only a little over 743 metres, just a little higher than Greg’s Hut. On Friday night the weather was about to make things much more interesting, or for the back end of the field, more threatening! 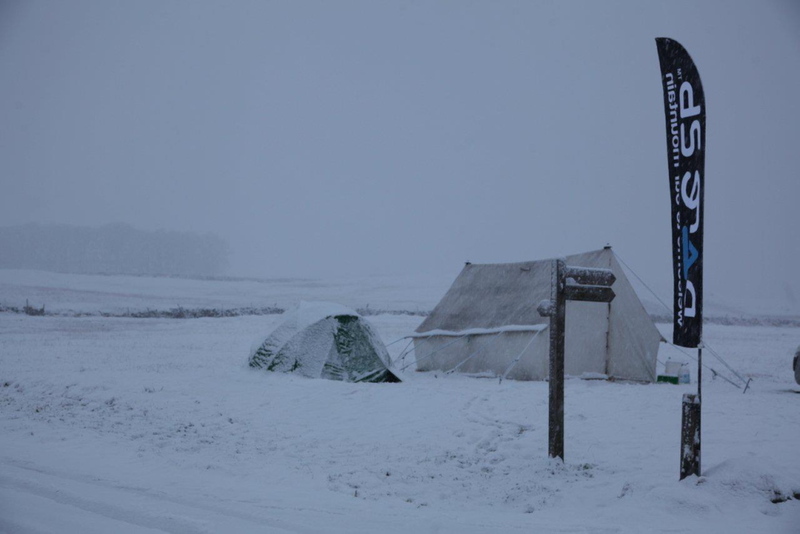 A mix of 25 cms of snow plus winds of 25 mph guaranteed blizzard conditions on the last ridge. Paul Dickens made his way off the hill, closely followed by last years joint winner Gary Morrison accompanied by Richard Lendon – Richard had been forced to withdraw in 2012 due to hypothermia, but for him this wasn’t settling a score, it was more like completing a long journey of self-discovery. Then, for the two groups still on the hill, things began to get really nasty! 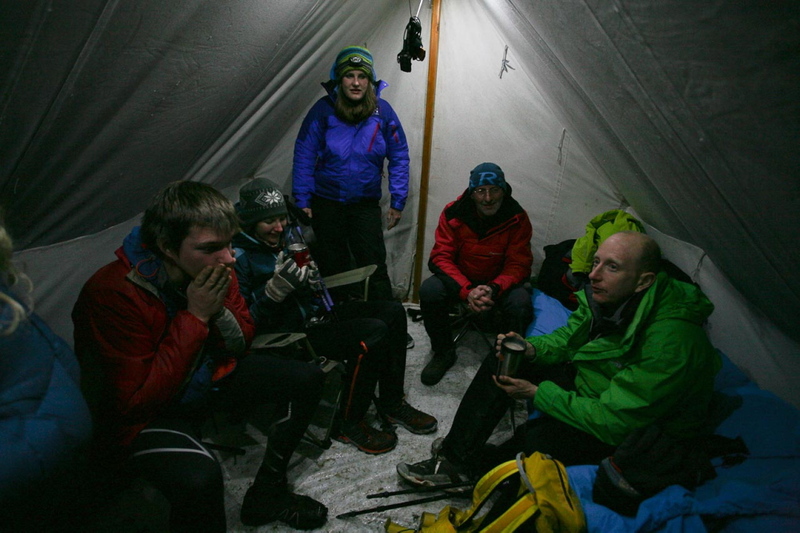 Annabell, Ian, Brian, Thomas and Jin were within striking distance of finishing, but were pinned down by the blizzard – they headed for one of the emergency shelters on the ridge almost ten miles from the finish, and settled down for a cold night. 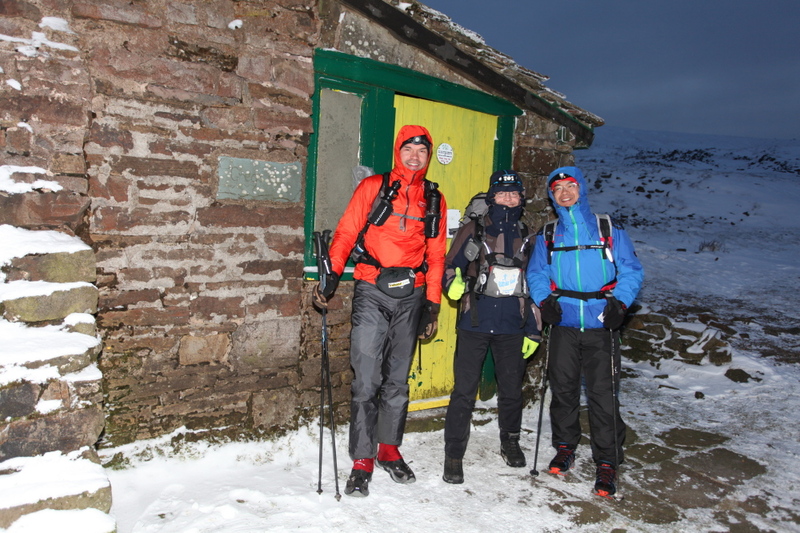 Annie, Dave and Russ were about another ten miles behind them, and also sought shelter in a refuge hut. 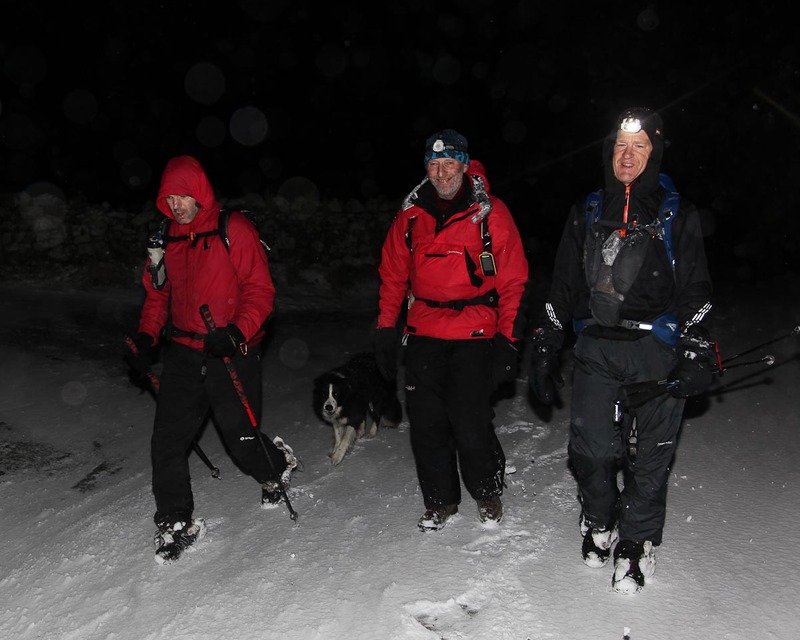 Both parties had tracking devices, and Stuart and Joe from the support team, supported by John and I, attempted to reach the second party for a welfare check, but were beaten back by the storm. 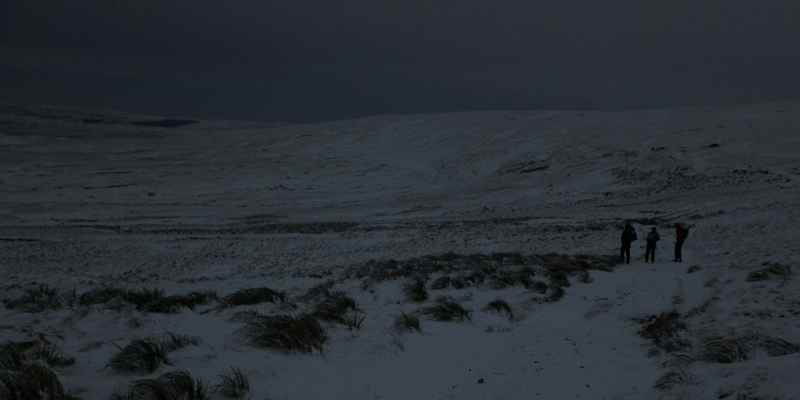 The next morning was much calmer, but with thigh deep snow on the ridges. 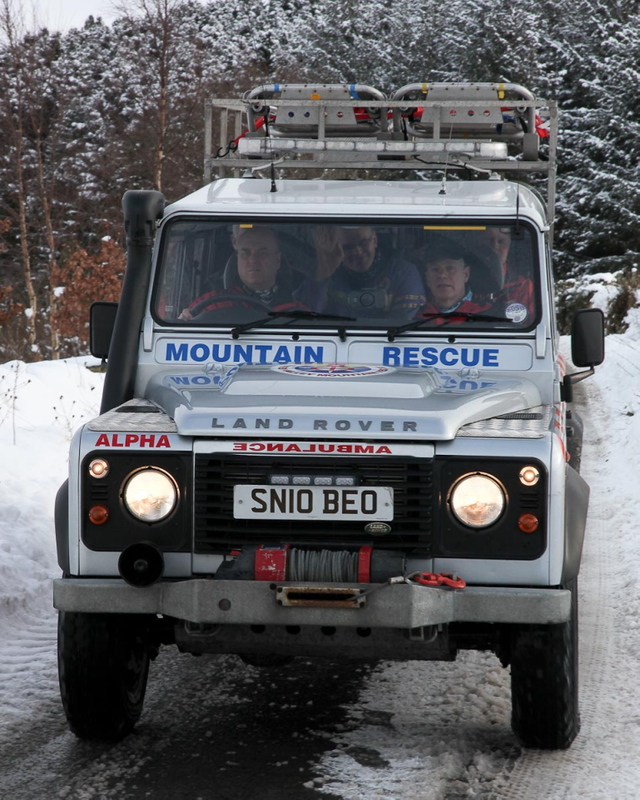 Annabell’s group was soon moving and bumped into a joint party from Borders Search and Rescue and Tweed Valley Mountain Rescue Team – their smiles on the way down were almost as wide as the lane! 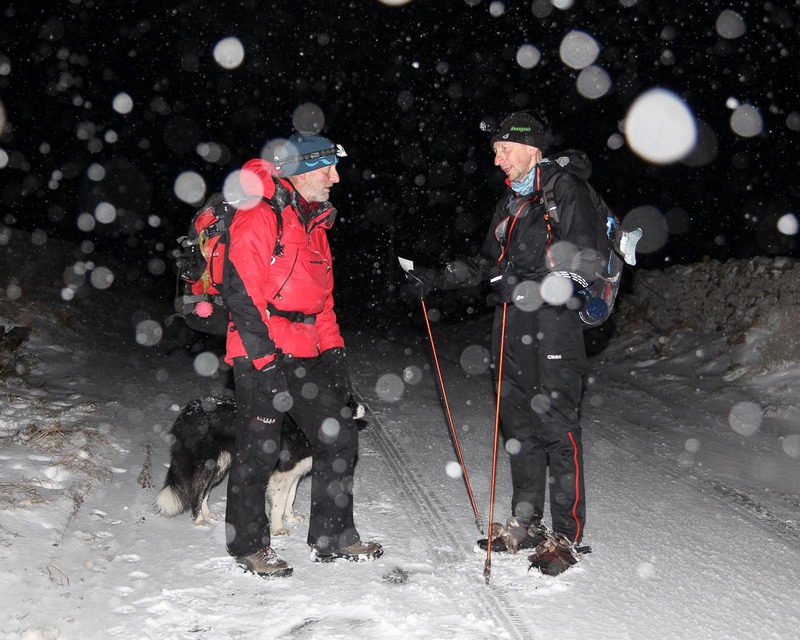 For Annie, Dave and Russ it was disappointment – the storm and the long night had been exhausting, and they had to withdraw from the race. So near, yet so far! They were able to walk down from the refuge, guided by more members of Borders SAR. It had been a grueling event, but one that all the participants and staff would never forget. p.s. ‘The Spine’ is truely bonkers! Why would anyone want to put themselves through so much grief? Simple – it’s an adventure, and when we lose the joy of adventuring, we become much poorer in spirit. Let the adventure continue! p.p.s. This is a very personal account, as seen by a member of the support team (Me!). 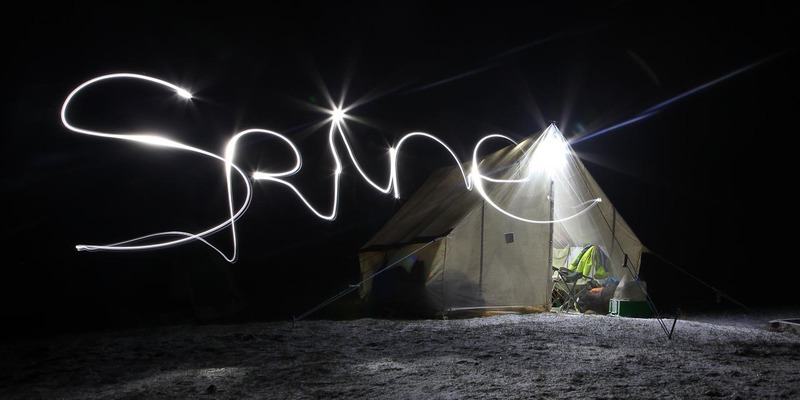 For a more intimate account of what it feels like to run ‘The Spine’ visit Richard Lendon’s blog. If you like numbers and stats, visit ‘The Spine’ website, then book a place for 2014 – the madness continues! p.p.p.s After the race, I had an interesting discussion with one of the Kirk Yetholm locals about the involvement of the local mountain rescue teams in the event – speaking as an ex-MR team member (with an application pending to join my local team in North Wales) I can confidently state that the teams are always happy to turn out to help fellow adventurers – being a mountain rescue team member is just as bonkers as running ‘The Spine’! This entry was posted in 1. 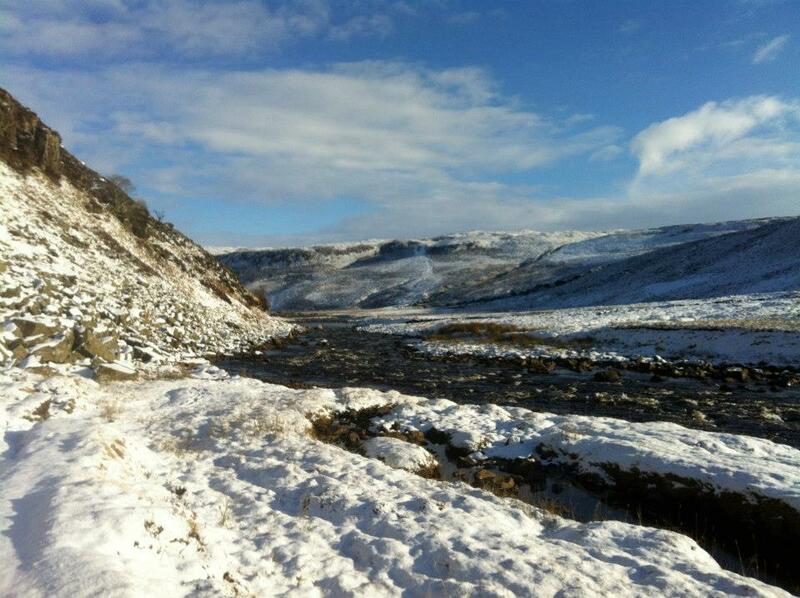 Scotland, 3. 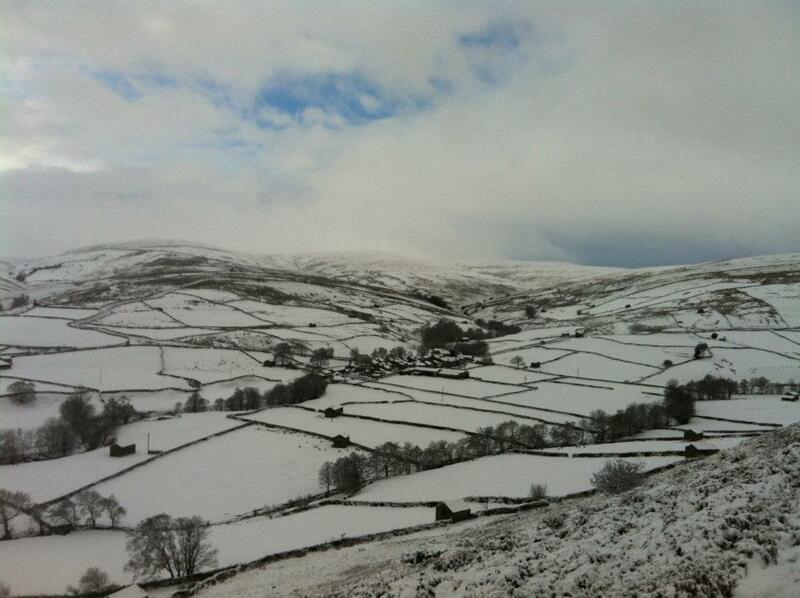 Yorkshire Dales, 4. 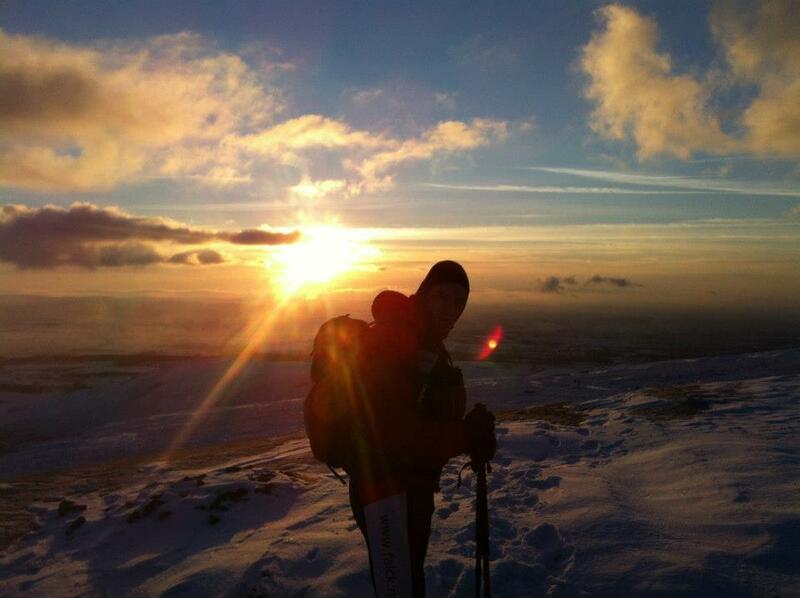 Northern England and tagged mountain rescue, mountains, Pennine Way, photography, snow, Spine race, winter. Bookmark the permalink. 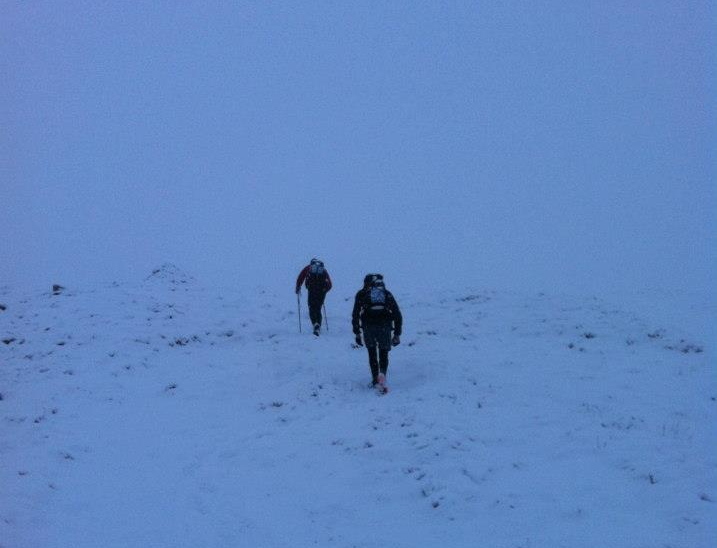 26 Responses to #114 – ‘The Spine’, Britains most brutal race – the inside story. Great review, Paul and you hit a fe things bang on the head! Whoops, spelling! Essentially you captured my feelings spot on! Congratulations to you and Mist – give Mist an extra tickle and a Jumbone! 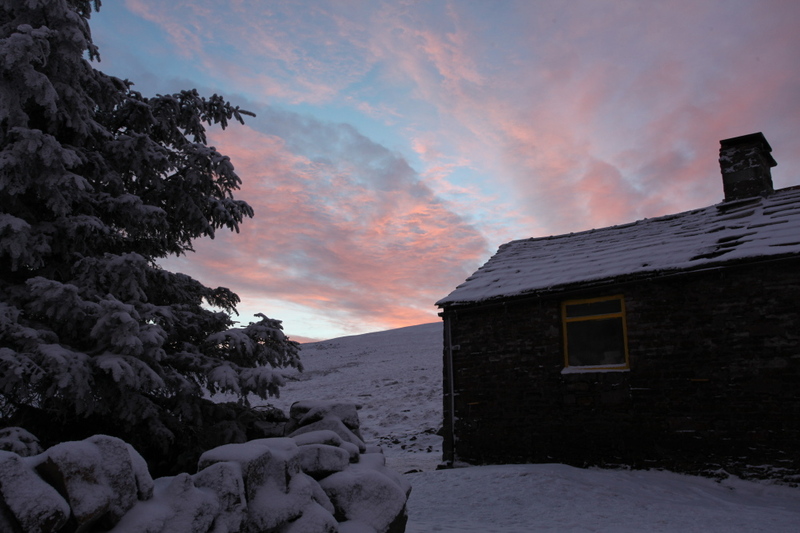 That’s twice I’ve gone into Greg’s Hut in January and thought, “Bloody hell, I’ve got a couple of days in this fridge!” Then we light the stove, and half an hour later you wouldn’t want to be anywhere else! Thanks for the hospitality at CP1.5, and in particular the battery you (I think) you gave me. Great story and well done mist. And well done to the teams who did it too! 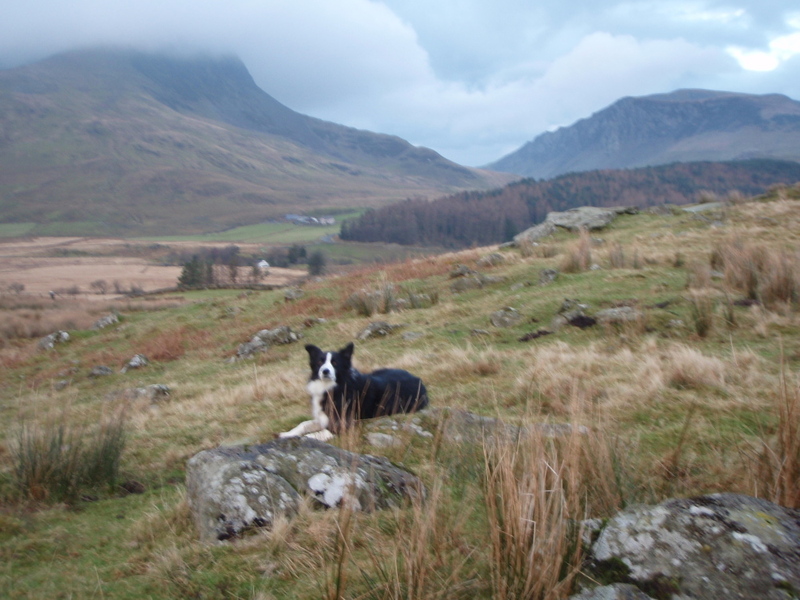 I’ll keep an eye out for you and Mist next time I’m in Snowdonia. Did you photoshop those blue skies in? I haven’t seen any this winter I don’t think. 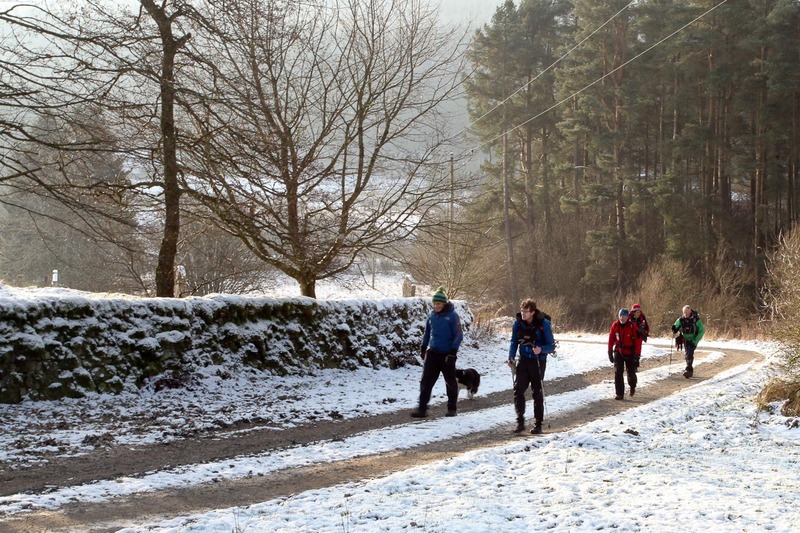 We didn’t have as much snow as that in the Lakes this week – just a really thin (and slippery) covering everywhere with frozen grass or sheets of ice poking through. I’d have preferred a bit more for my spikes to bite into I think. I agree Carol – moreof a challenge than I would want! Haha …. Those blue skies are deceptive, and didn’t hang around long. 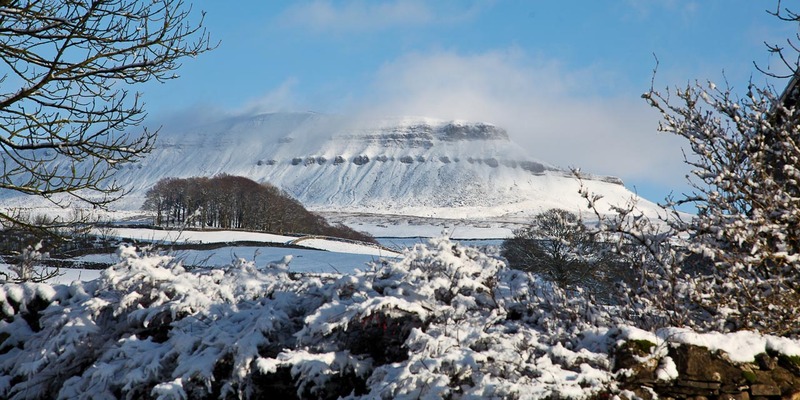 Thanks for the kind words Andy – Pen y Ghent was especially difficult that morning, but John seized the moment for the pic. I also like the series of images from Teesdale by Richard Lendon, who managed to find time to capture some good shots whilst running a really savage race. The post was well worth the wait, as I knew it would be. And huge congrats to Mist – what’s the doggy equivalent of cracking open the bubbly then? As for the doggy equivalent of opening the bubbly, it appears that they are happy to do it all for no other reward than to be a member of ‘the pack’ – dogs are strange animals, but I’m happy to share my life with one. Superb story Paul and the photos are stunning. What an amazing experience that must be – if I was 30 years younger I would sign up for that! Congratulations to Mist as well…well done both of you! It looks spectacular, but I think I’ll carry on plodding away at the PW over the next few years!